Some Ubuntu 13.04 Raring Ringtail users are having issues with Skype not starting when using the proprietary Nvidia graphics drivers (it crashes / segfaults). So here's a work-around you can use to get it to work until this is fixed in Ubuntu / Skype. Update: some users have confirmed that this fix also works if you're using proprietary AMD / ATI drivers. That's it. 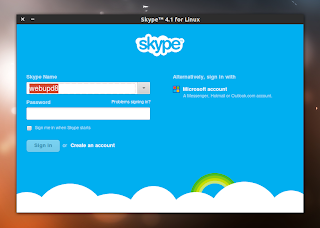 Now Skype should work in Ubuntu 13.04 Raring Ringtail. Note: I didn't test this on an Nvidia-only system but on my Optimus-based laptop. Initially, running "optirun skype" (so I've used Bumblebee to test this) didn't work but it did work after following the instructions above.